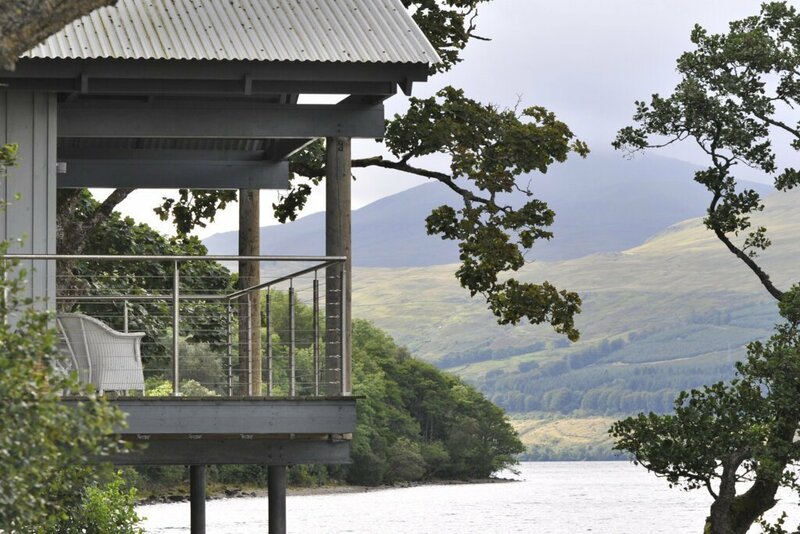 Osprey is a stunning boathouse set in a secluded position on the shores of Loch Tay with its feet in the water. 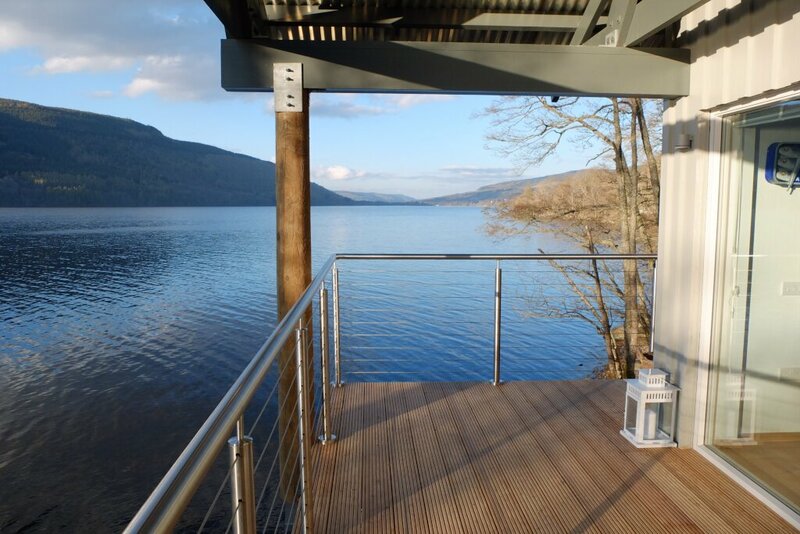 Osprey offers stunning views from it's full height windows across the loch to Glen Lyon and down to the village of Kenmore. 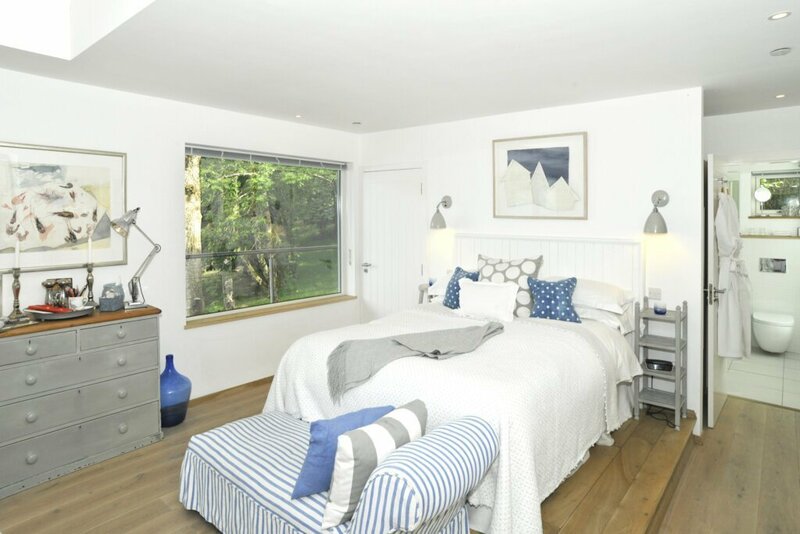 The king sized bed and is made up with luxurious white Egyptian cotton bed linen, luxury bedspreads, lovely throws with swiss chocolates on your pillows. 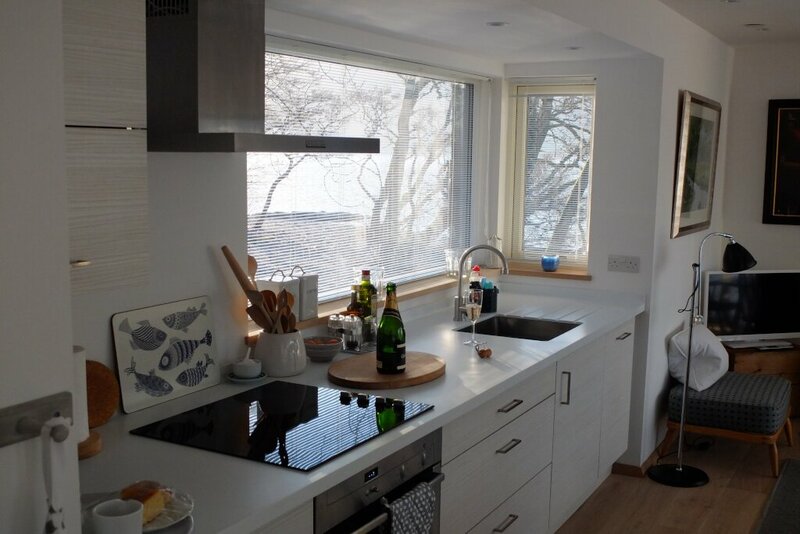 One large living space combines sitting, eating, cooking and sleeping in the style of a loft apartment – with a bed platform at one end of the room and a log-burning stove at the other. Lie back in the bath and relax while enjoying a view of the loch. 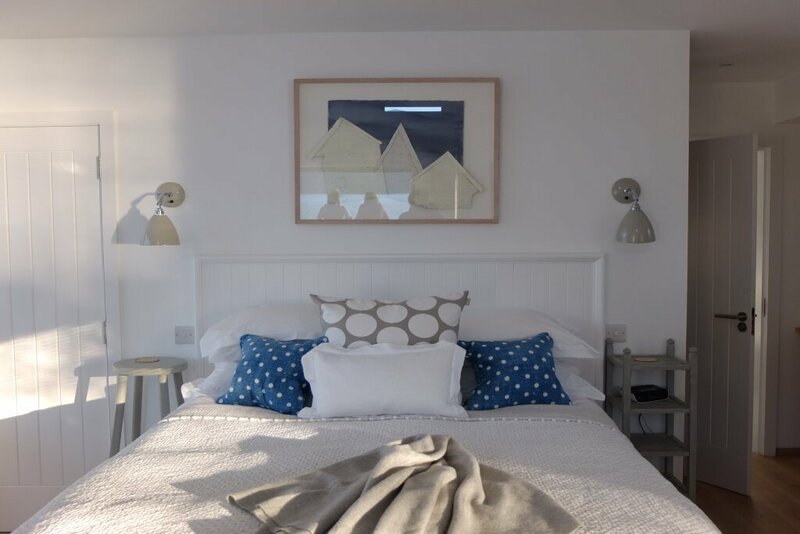 Osprey is available for short breaks throughout the year with arrivals and departures on Fridays or Mondays. Our prices include a welcoming bottle of prosecco, a box of chocolcates, tea, coffee, herbs and spices. The house is stocked logs and kindling for the wood burning stove and electricity is included. 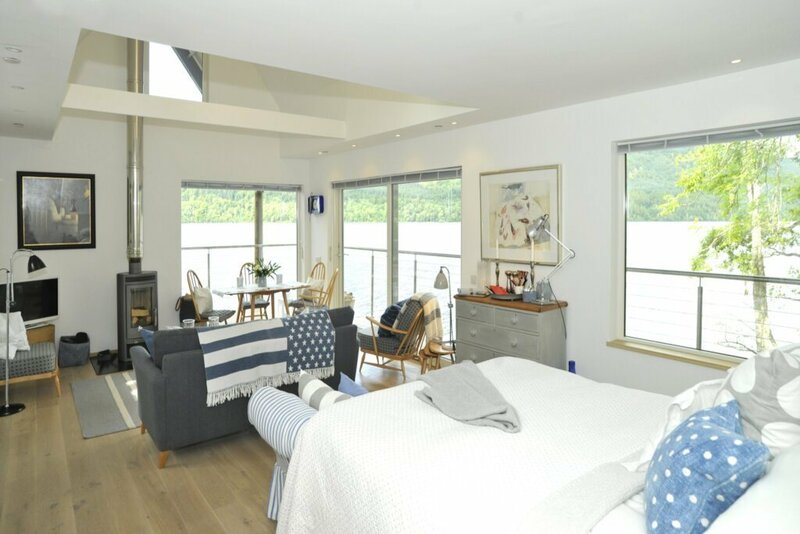 Osprey is a haven of peace and quiet, far away from the stresses of everyday life. 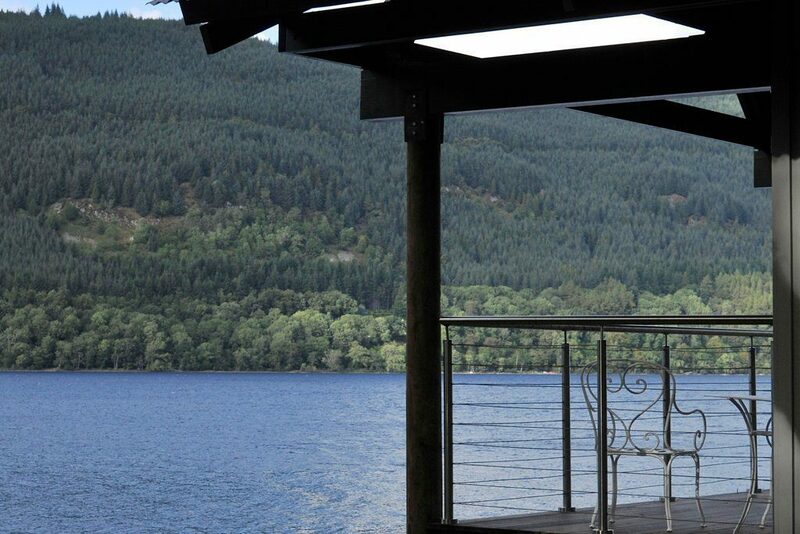 Sit on the deck, admire the spectacular scenery and the wonderful wildlife - this is the place to completely unwind! 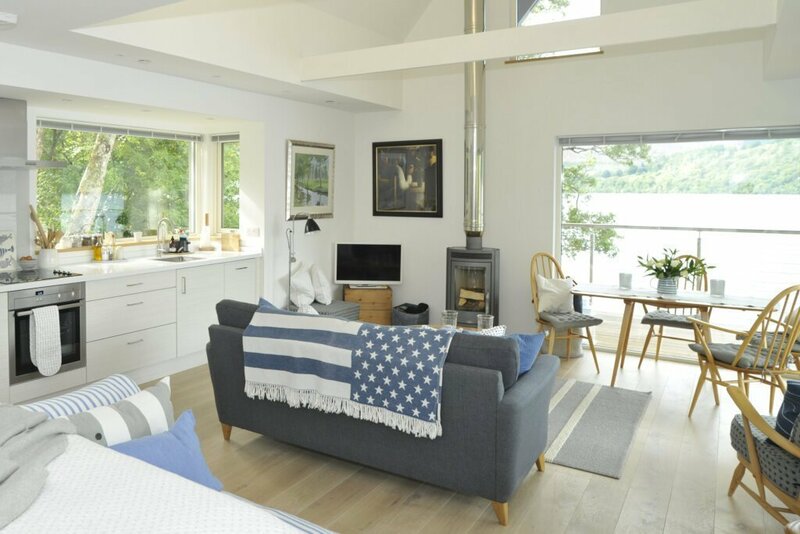 One large living space combines sitting, eating, cooking and sleeping in the style of a loft apartment – with a bed platform at one end of the room and a log-burning stove at the other. 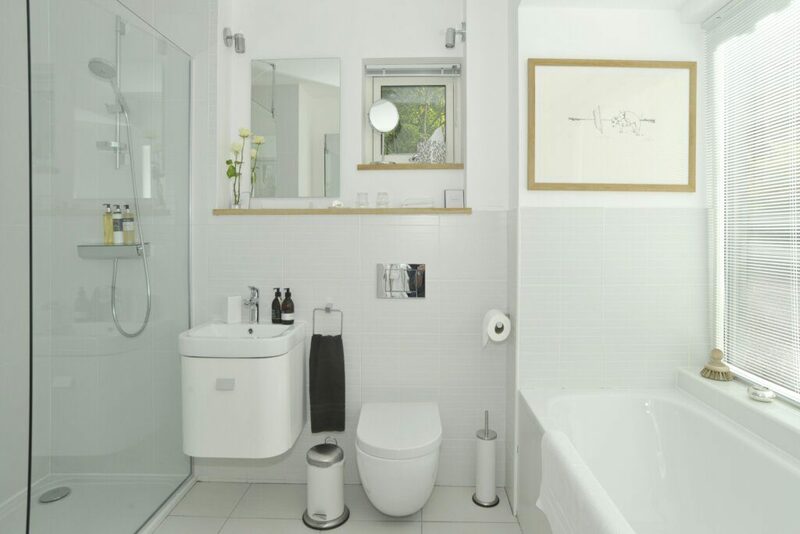 Underfloor heating in bathroom with walk-in shower, and bath with views to dream of! 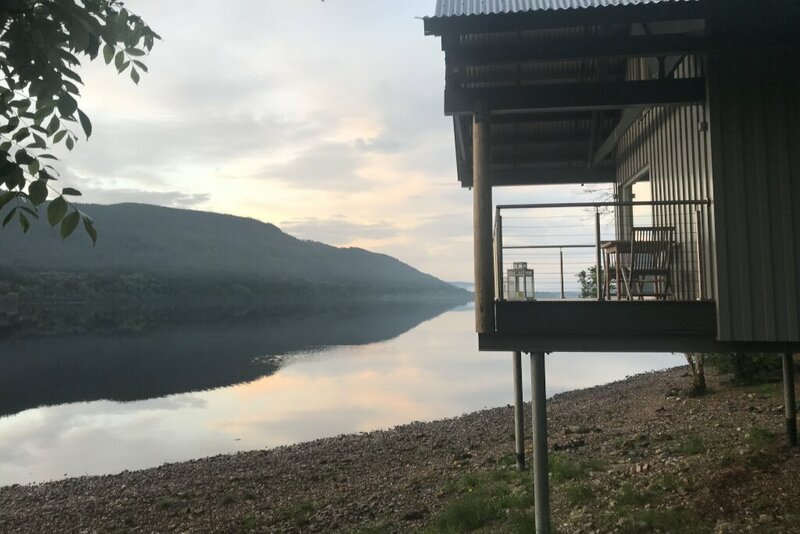 Located on the shores of Loch Tay the Osprey Lodge is well placed to explore all the villages and landmarks of Loch Tay and beyond. 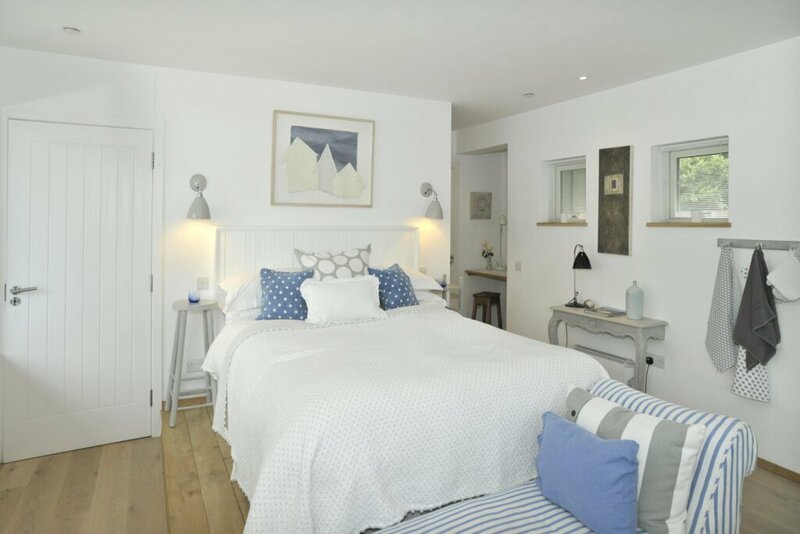 We absolutely adored our stay at Osprey - everything is immaculately maintained, and every little detail thought out. 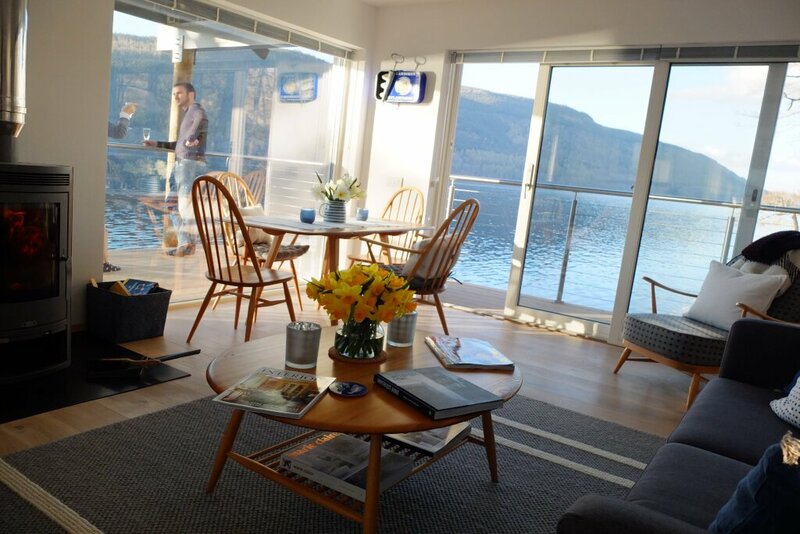 The setting and cabin is absolutely magical - the best advice I can give - book for as many nights as you can. 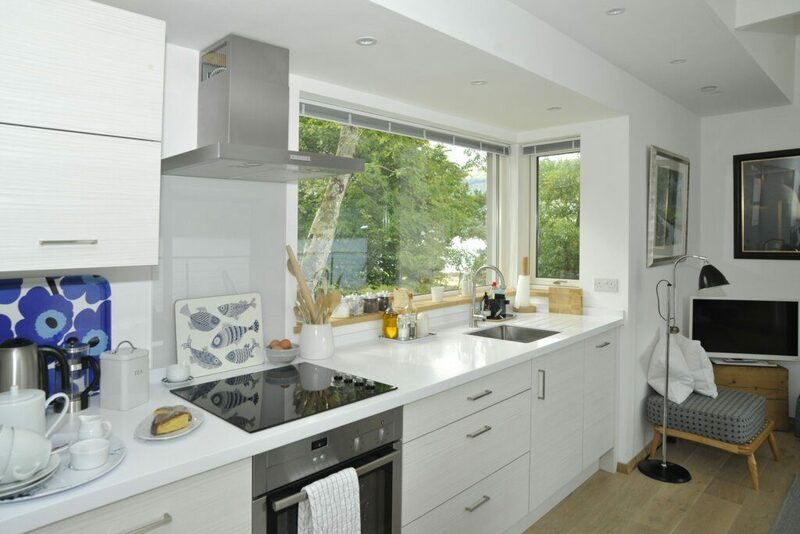 Absolutely beautiful house set on Loch Tay. A very unique experience with some lovely touches from the host. We will definitely be back in the future and be recommending it to friends. Thanks! Had a great stay, the place suited our needs well. It is a perfect place to have a secluded get away with stunning morning vistas & cute wildlife on the door step. Pleased with the extra touches given by the hosts.